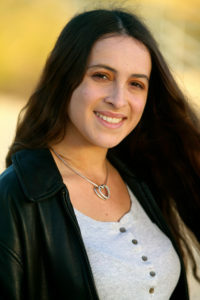 Natalie Lusitana is a singer, actress, and voice actress from San Diego, California. She had studied singing for almost 7 years and is being trained in Broadway-style music, as well as Opera. She has been in several community theatre productions such as, The Sound of Music, Into the Woods, Beauty and the Beast, Footloose, Alice in Wonderland, Mary Poppins, and Chicago. Natalie also loves Disney, and works as a Disney Princess for childrens’ birthday parties and special events. You can also find Natalie on Youtube, her Youtube username is “Natalie Lusitana,” where she posts singing covers, scenes, and voice-over fandubs ranging from Disney, Broadway, Opera arias, Mlp, cartoons, movies and more! One of Natalie’s dreams is to be a well known performer!